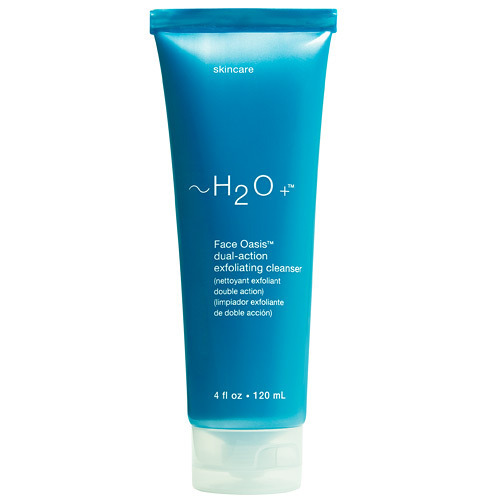 Hope's Cafe: H2O Plus Natural Sea-Derived Skincare Review!! 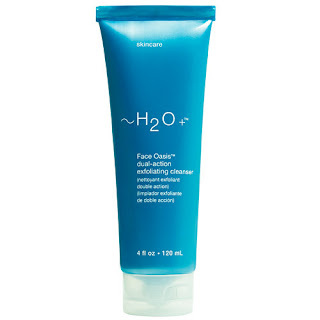 H2O Plus specializes in natural, sea-derived skincare products. Whether you're looking for hair care, bath and body, or facial care, H2O has a unique assortment of products you're sure to love. "Deep-sea life thrives with essential elements that naturally nourish and revitalize your skin. We cultivate and combine these marine botanicals in our water-based formulas, creating a harmony of technology and nature found only in H2O Plus skincare. The sea brings a brilliant balance to your skin. It's simple. It's essential. It's synergistic. 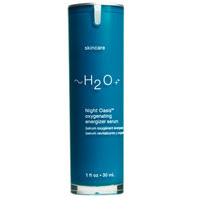 Immerse yourself in sea-derived skincare." I was sent 3 of the Oasis face care products. First off I tried the Oasis Dual-Acting Exfoliating Cleanser. I love it! It is a very nice exfoliator that leaves my skin feeling soft and smooth. And, instead of needing to use a cleanser and exfoliator, this does both! It also moisturizes, leaving your skin replenished and hydrated. Then, I used the Face Oasis Hydrating Lotion with SPF 30. This is a very light, oil-free lotion that really moisturizes without oily build-up. Sometimes I have to wash my face off just 30 minutes after using a face cream/lotion, because it feels too oily. Not with this, though! It hydrates without overloading. I also liked the fact that it has sun-protection built in. When exposed to light, the marine microspheres release a concentration of antioxidants and vitamin C. Wow! Lastly, I was sent the Night Oasis Oxygenating Energizer Serum. Again, a very light, oil-free product that I loved using. The oxygen-rich nutrients n this serum help improve your skin's resilience, firms, and revitalizes! I have to admit, I was very impressed with how well all 3 of the products worked! They really left my face feeling clean, smooth, and hydrated. H2O also has more products in the Oasis line, such as a Facial Mist, Hydrating Booster, a Moisture-Lock Mask, and even gift sets to get you started! I would definitely recommend H2O Plus to anyone looking for some quality skincare products!